Designed by professionals for the highest performance and reliability, lowest loss, and crafted from the finest materials and connectors available. We back them with our lifetime warranty. Period! 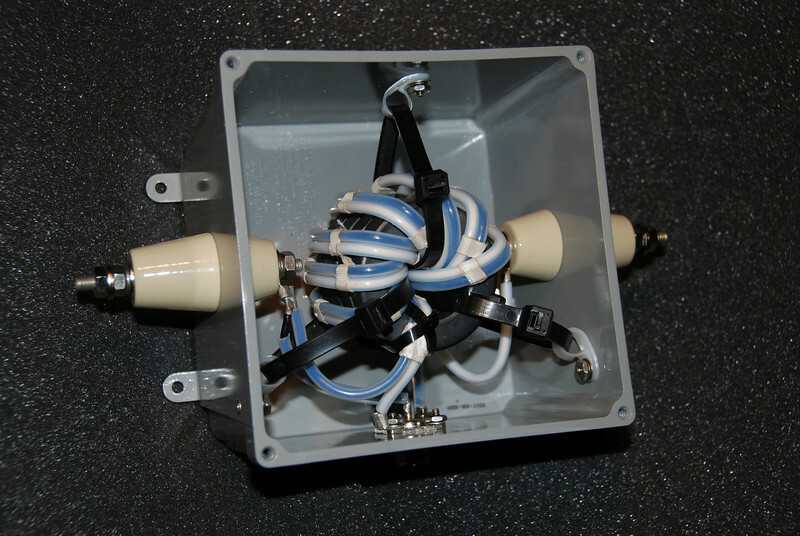 DMP Plastic Center Insulator AS Series Dipole Mounting Plate 7" x 6" x 3/8"
Custom Baluns and Transformers . . . Call or email for custom baluns pricing . 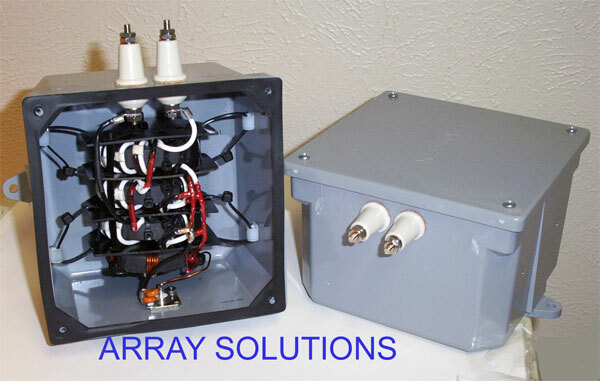 . .
Why are the Array Solutions Precision Baluns and transformers the finest Baluns and Un-Un transformers you can buy? Because of good design engineering expertise, implementation, R&D, finest materials, extensive testing in the lab, in and out of doors with thousands now sold, and experience of many severe antenna requirements and challenging antenna loads. If you really want to learn about serious balun design, please buy the following book from CQ Communications or the ARRL Bookstore and educate yourself about baluns. "Understanding, Building, and Using Baluns and Ununs" by Dr. Jerry Sevick, W2FMI. And please, don't believe all you read on the web about these useful devices. There is a lot of bad information out there. On top of it, you can even build your own if you like! No magic, just good design and practical applications in this book. Our baluns and Un-Uns are correctly engineered and tested as discussed in this publication. They will not heat up under heavy duty power, duty cycles, or stressing load conditions and... we back them up with a life-time warranty! This means your antennas will have the best pattern possible, and will match the load perfectly over the frequency ranges you need. Up until now, balun manufactures have tended to be behind the curve of what I call “honest representation” or simply truth in advertising. 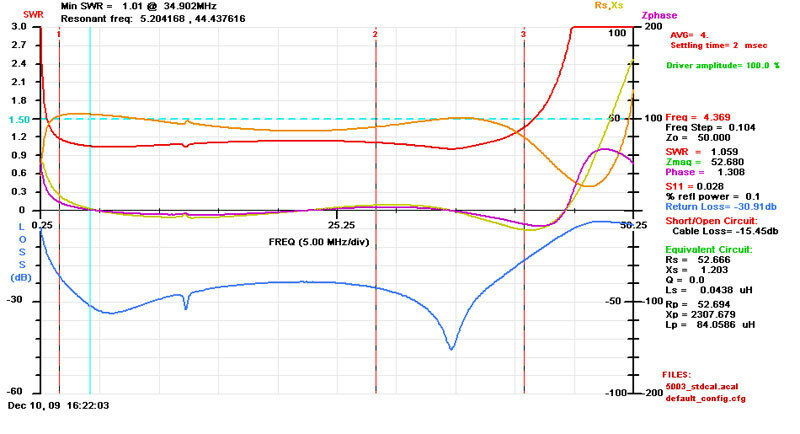 Representation of the true power rating of their balun. Their designs tend to be derivative, not original. In fact, if one desires to jump into the arena of manufacturing RF baluns, all you need is the closest ACE Hardware store for the PVC tubes and end caps along with some cloths line eye bolts. Oh yes, mail order in some powered iron cores or worse yet, ferrite sleeves and away you go. If you want to be a higher power balun designer and manufacture simply buy larger PVC pipes and end caps and paint the whole mess black. Rate them at some ridicules power capability and wait for the orders. Over the years I have been one of the fools ordering some of these “new technology” baluns. It is comical to fire up the gud ole Collins 30S1 amplifier watch the SWR climb the longer your fist is at the key. 1500 watts PEP SSB … NO … 1500 watts CW or RTTY. In fact I have had a few of these off-brand baluns actually start the melt down process. Well enough of the bashing. 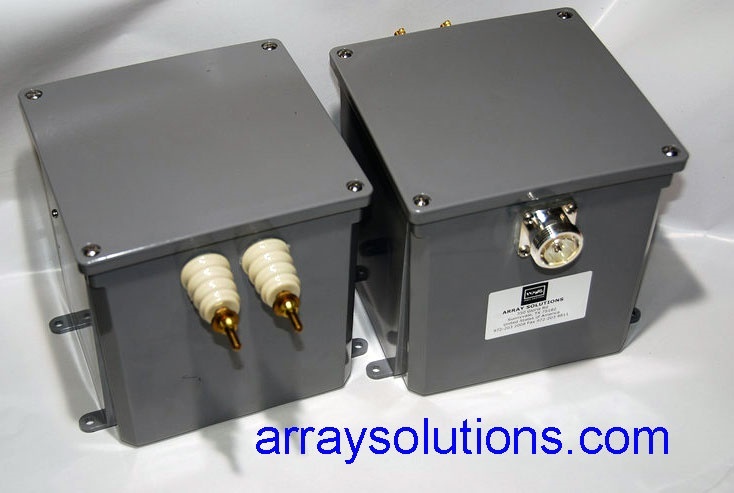 We all should be relieved to know that the company called Array Solutions is a true RF balun designer and manufacture under the watchful eye of Jerry Sevick, W2FMI and Array Solutions chief cook and bottle washer Jay Terleski, WX0B. 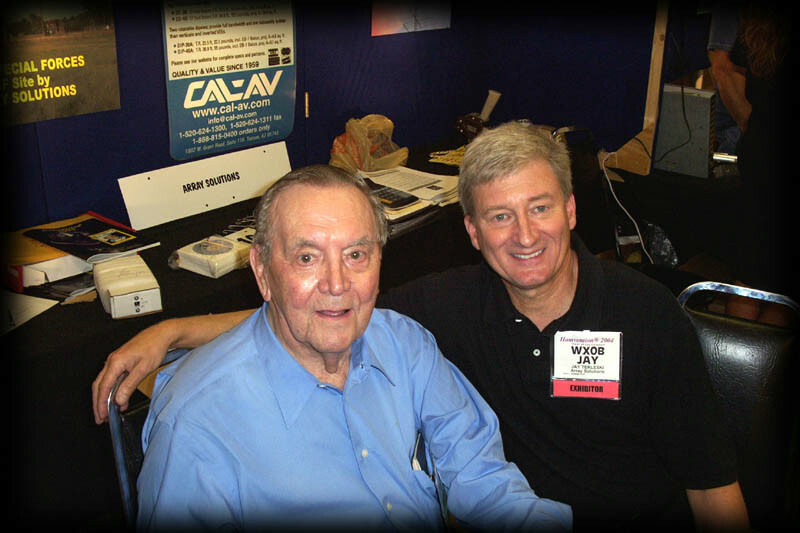 Jerry Sevick is the author of books and numerous RF balun articles in QST. Best of all, Jay, WX0B tells the truth about his products. 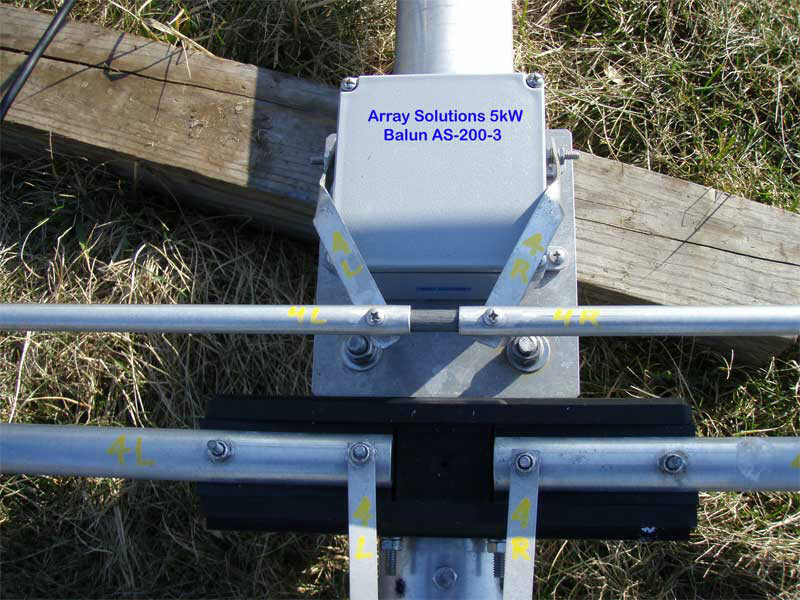 I am now running the Array Solutions balun transformer on two of the mighty Zero Five 43 foot verticals. I also have one of the Array Solutions 4:1 balun transformers up at 70’ on an OCF Windom antenna. 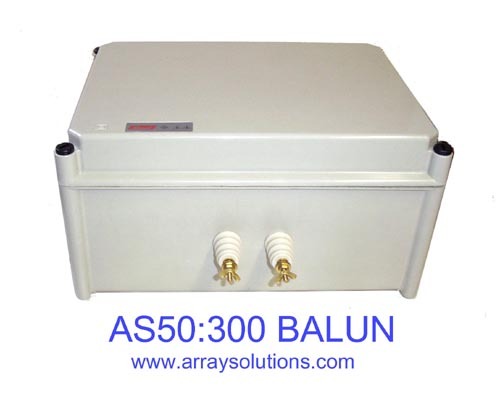 Unlike other copy cat off-brand baluns the Array Solution baluns do not flinch at full 1500 watts from the masterful Collins 30S1 RF generator. 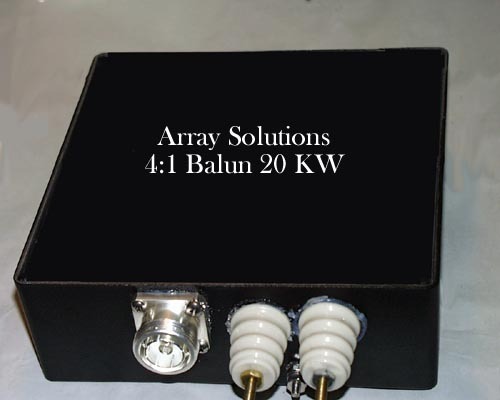 Cool and steady transforming ratios and performance is peace of mind with Array Solutions baluns. Highly recommended! I wish there was a 10 out of 10 rating! Great product indeed. 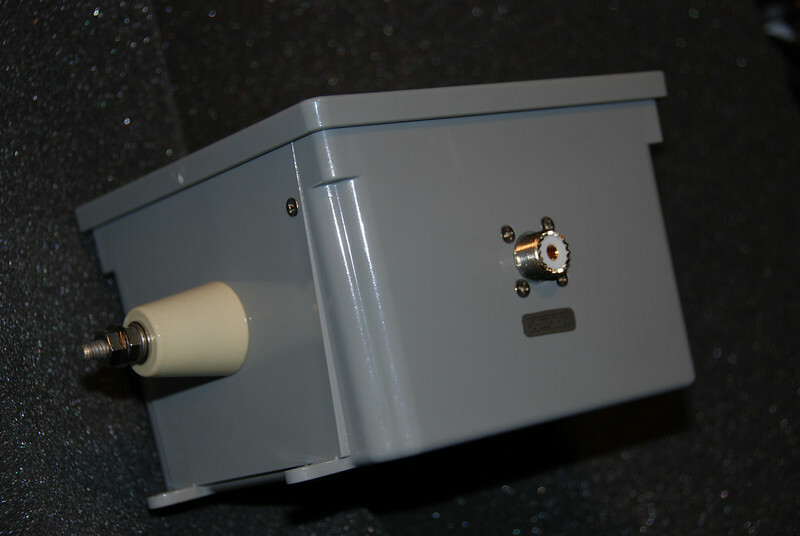 All Baluns are sealed in weatherproof Nema Boxes, with an SO-239 (optional N-type or 7/16 DIN) input connector and two #10 Stainless Steel bolts output connections. They have weep holes drilled in the bottom of the boxes to allow condensation evaporation. Holes should always be mounted downwards. AS-25-50 shown in picture. 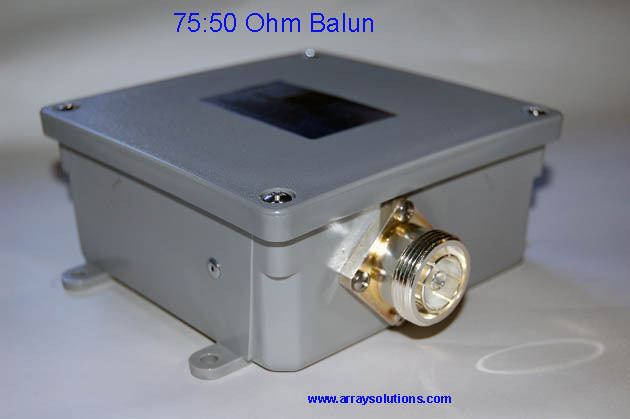 25 Ω balanced to 50 Ω unbalanced 2:1 Balun, these 25 ohm baluns are used to match Yagi 20-25 Ohm driven elements directly without the need for matching networks, like gamma, T-match, or hairpin matching. Rated for 3 KW CW / 6 KW PEP, these Baluns offer the same quality as our well known W1JR Baluns. 1:1 is a great balun for dipoles or any other 50 ohm balanced antenna. Polarity is marked to make stacking of antennas easy. 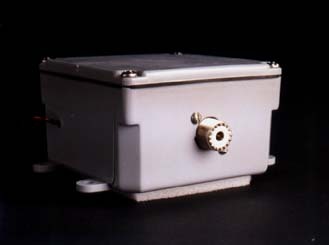 AS-200-T 1.5 - 30 MHz at 5 KW. Heavy Duty windings heavy cores, Ideal for dipoles, or other antennas where a tuner is used to match the transmitter over a wide range of impedances. For instance, the multi band verticals or a Zepp fed with ladder line. 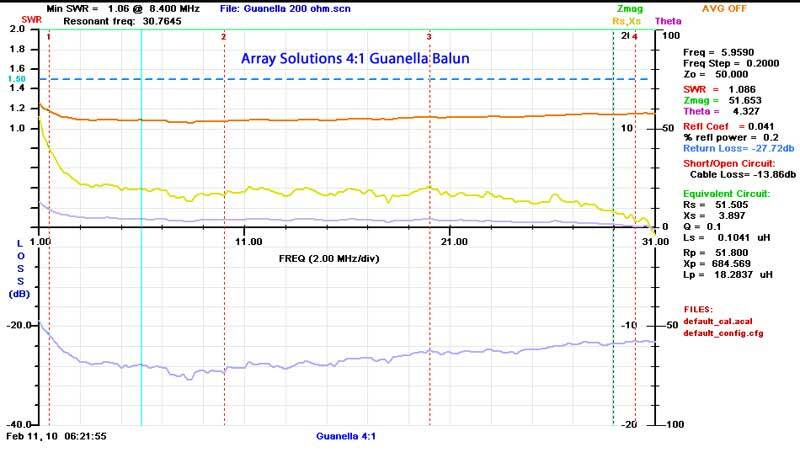 AS-200-T Array Solutions 4:1 Guanella Balun response plot. Typical antenna feedpoint balun connection. 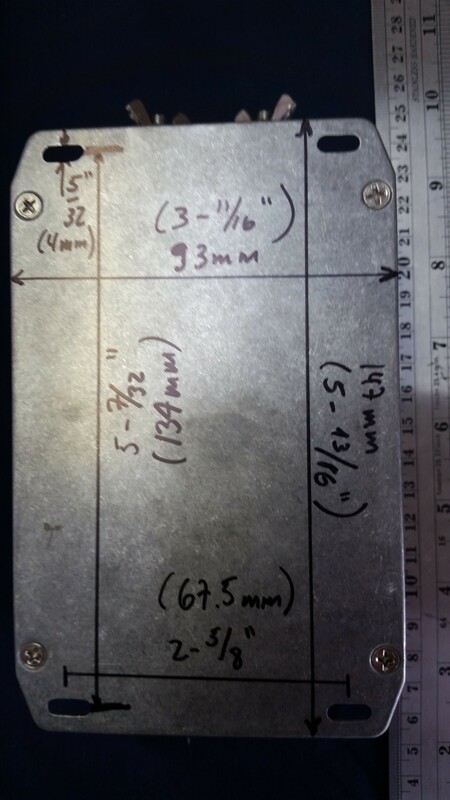 In this case for a KT-36/KT-34 antenna. 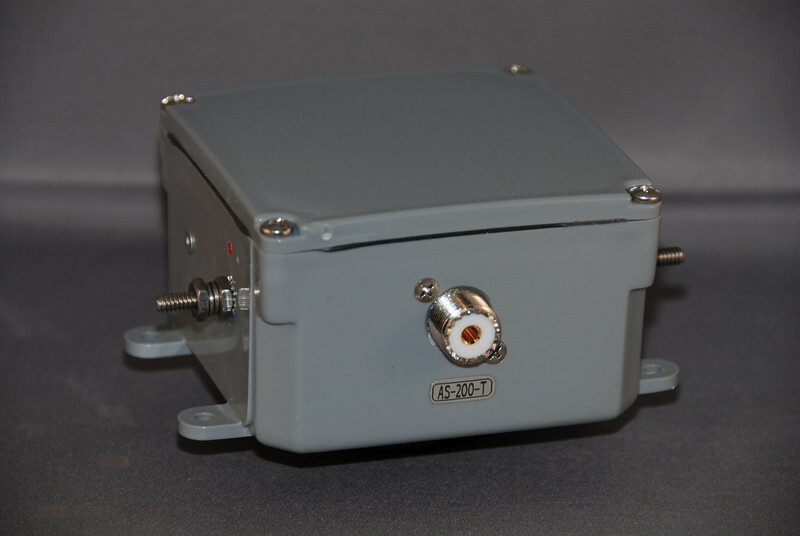 AS-300-1 or AS-450 Balun, come in a 6" x 6" x 6" (152 mm x 152 mm x 152 mm) enclosure. These current devices are based on the W1JR Baluns above. They are used to stop RFI on the outside of a coaxial cable shield from entering a radio shack. They also are used to isolate vertical feed points to eliminate coaxial cable RF pick up. 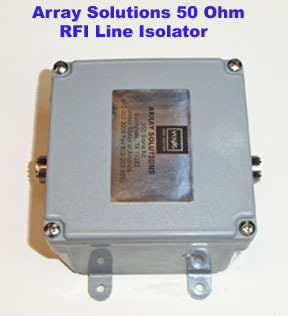 Rated for 5 kW, these isolators offer the same quality as our well known W1JR baluns. 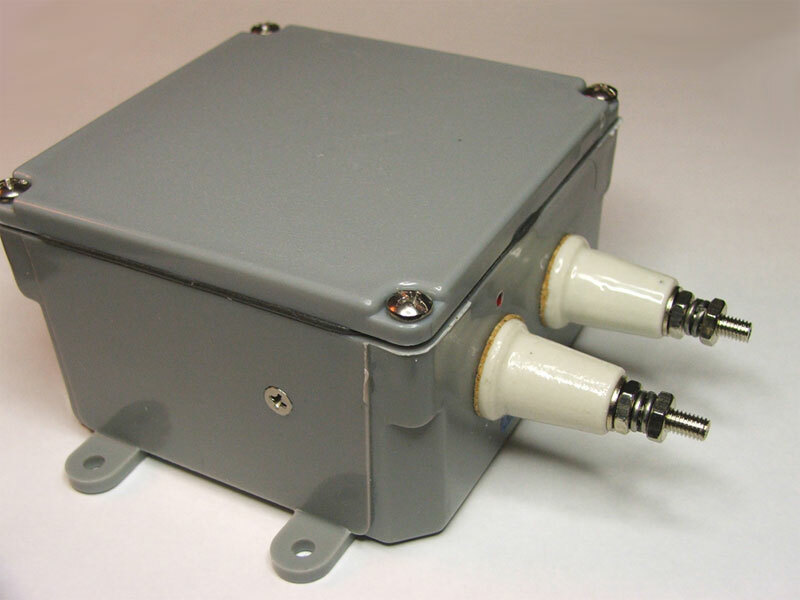 These UN-UN transformers are housed in die-cast aluminum water resistant boxes and include a standard silver and Teflon SO239 connector or an optional N-type connector. 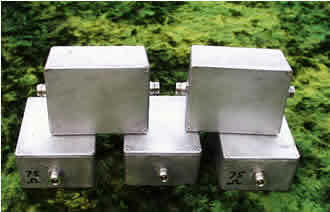 They will handle 5 kW+ from 1.8 to over 60 Mhz. 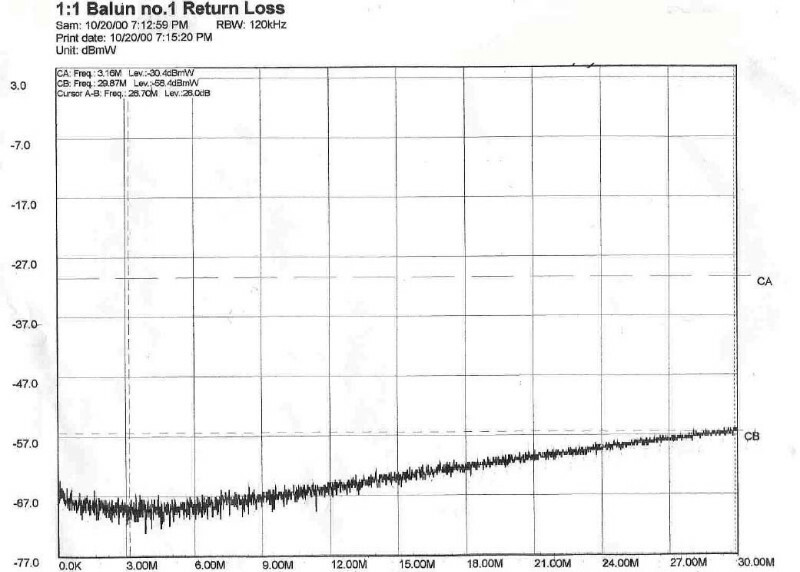 Insertion loss is negligible, and SWR is better than 1.1:1 over the entire bandwidth. These transformers are perfect for use with CATV 75 ohm hard-line. 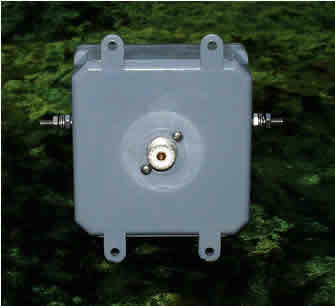 Connectors available are SO-239 standard, N-type N, 7/16 DIN. Custom Baluns and Ununs to Match your special system needs. Please call and tell us what do you need. 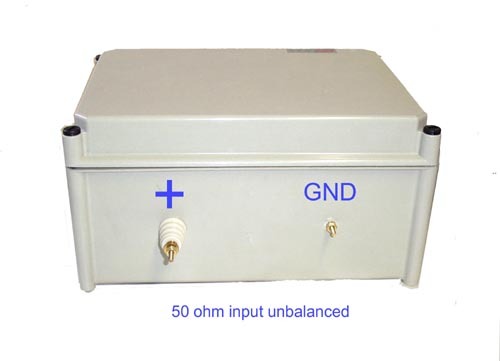 Large High Power 200 ohm to 50 ohm balun for a log periodic over the horizon radar antenna.